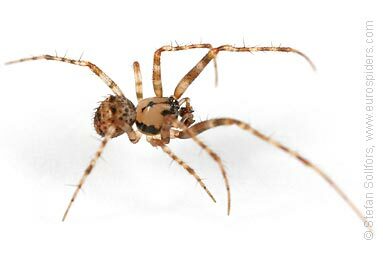 A male Ero furcata, a pirate spider, on white background. 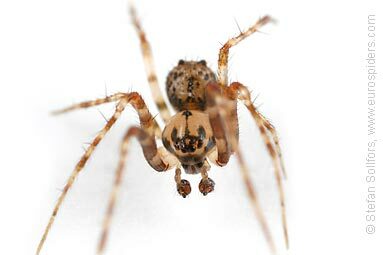 A male Ero furcata, a pirate spider, head-on view. 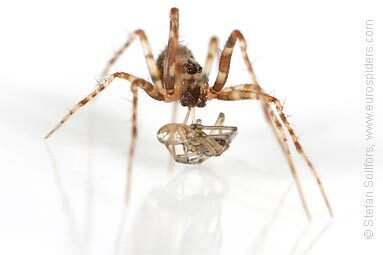 A male Ero furcata, a pirate spider, with another wrapped-up spider as prey. Ero furcata is a pirate spider. It's called pirate bcause it invades other spiders nets. They only eat other spiders. The Ero furcata is very slow moving.